With great anticipation the 1st avalanche course of the season has come and gone. 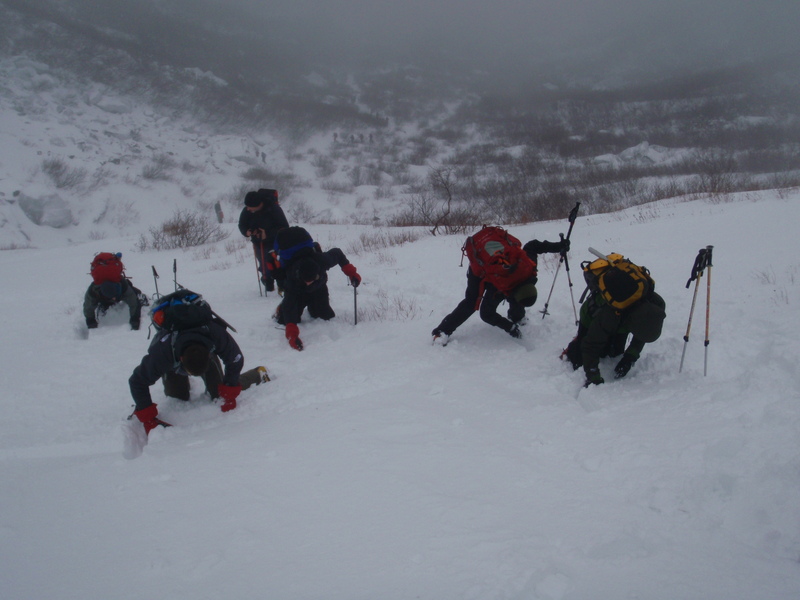 We had a full course with 12 participants with various backgrounds in skiing, mountaineering, and ice climbing. 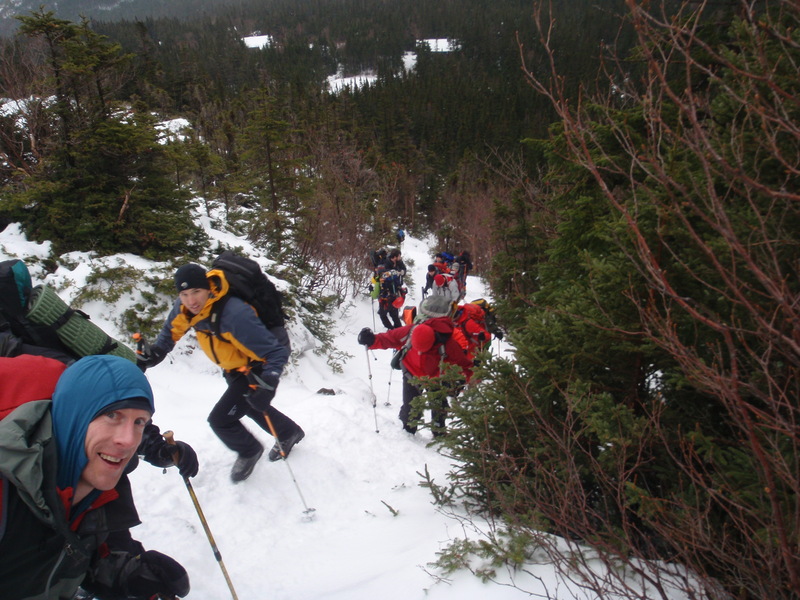 Despite a slow start to the season and the forecasted areas on Mount Washington being under a “General Advisory” we were able to move through some interesting terrain and see signs of recent loose snow surface slides. 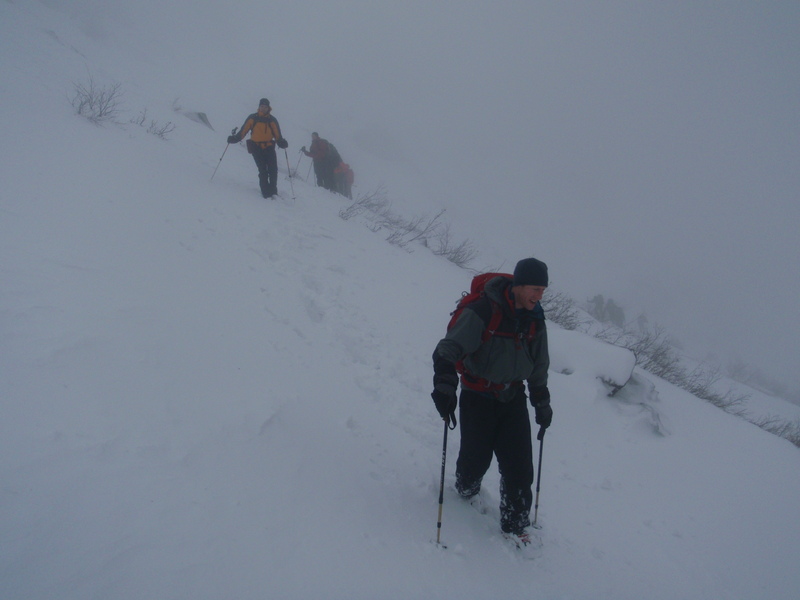 Traversing one at a time under “The Chute"
There’s been some cool changes to the curriculum of the AIARE Level 1 Course this season. The “Avalanche’s and Obs” checklist is a great new addition. Any former students are welcome to contact me so I can show you this new tool, it’s in all the new field books. A handy communication checklist helps the group dialogue flow. 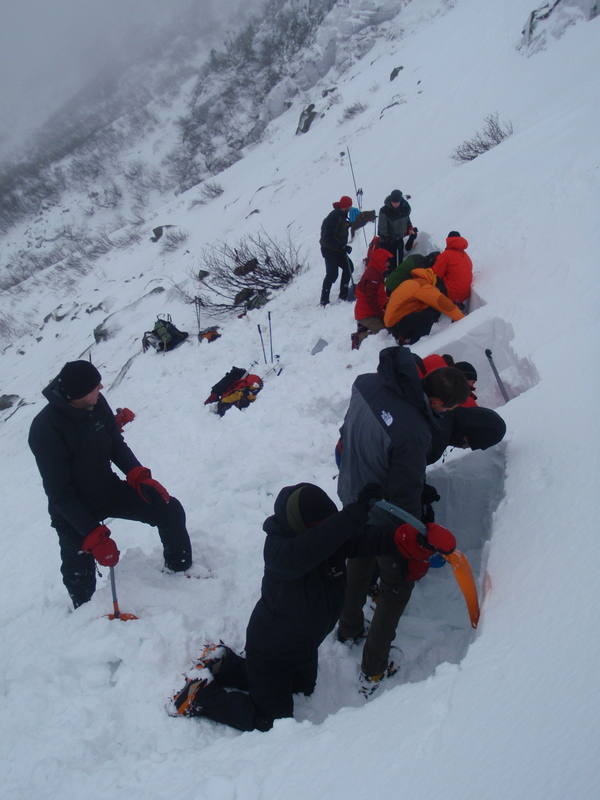 Last year saw 9 reported avalanches involving 19 skiers, snowboarders, or technical climbers on or near Mount Washington, including one near fatality. 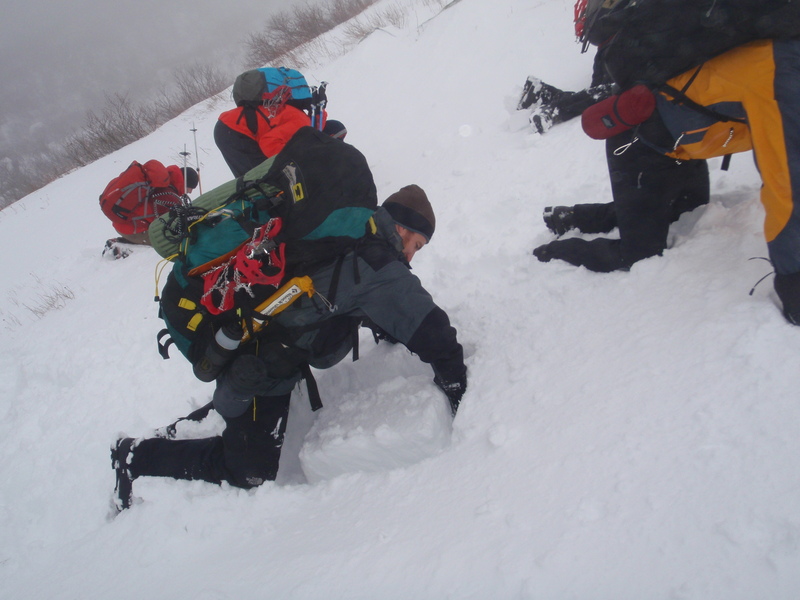 If you haven’t taken an avalanche course yet, or it’s been a few years and you’re in need of a refresher, visit http://www.emsclimb.com/aiare1.html for dates and info to sign up. The first course was filled far in advance, so don’t delay, space is limited.